The SMRT North and Sound Bound Train Service is affected again during the night time when people are returning from work. This time it affects Newton and Marina Bay in both directions. Bus bridging services has been activated. It is the 2nd time in September where the NS line has broken down again. 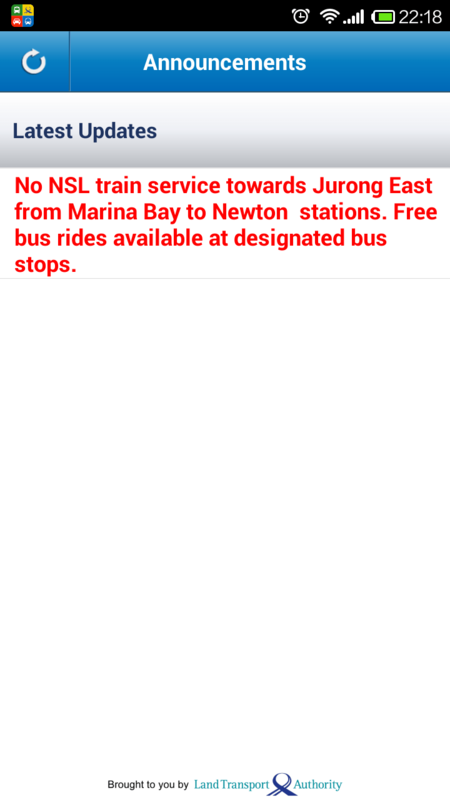 Now LTA announce no services towards Jurong East and it is going to impact more people going back home after a hard day of work. Preventive Maintenance is important and we have a lot of lessons to learn from Japan. It is time to employed more Singaporeans to learn the rolling stock.